Kota Blue is available in greenish blue colour and generally used both for interiors as well as exteriors. This stone has a very uniform natural split surface finish. It is used in form of tiles, slabs, cobbles and kerbs. It is quarried at RamGanj Mandi, district Jalawad, Rajasthan. We are the foremost Manufacturers, Exporters and Suppliers of Limestone in the country. The forms of Limestone available with us are bricks, slabs and tiles. Also, the Limestone that we deal in is sedimentary rock that is formed from both calcite as well as aragonite. Beautiful India Limestone combines a Varity of strength and polish. We export our limestone in different dimensions and thickness. 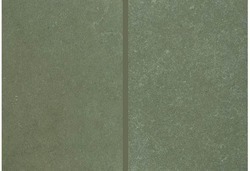 The Kota Blue , Kota Grey and the Kota Brown has earned a good name in India limestone. These limestone takes a very good polish and ideal for uses as flooring, paving and countertops uses. Our company has gained name and fame in presenting Blue Lime Stone. Kota Stone is a limestone and famous for its low price and beautiful colors. 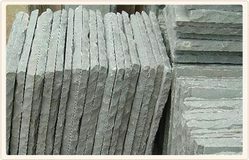 People like Kota stones due to its charming appearance and long life. Kota stone has unique properties that make it 1st choice for builders. Kota Stone(Blue) available here as polished and rough both in all sizes and thicknesses.